Beating the competition requires skill, a good rifle, and ammo you can count on. 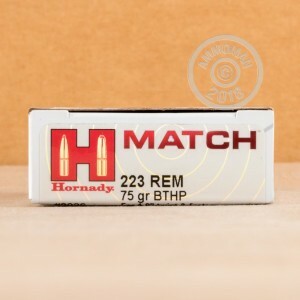 Hornady Match loads are designed to deliver the flawless performance that match conditions demand. 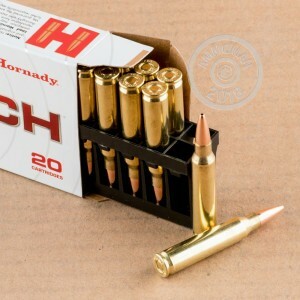 Each .223 Remington cartridge in this case of 200 fires a 75 grain boat tailed hollow point bullet optimized for accuracy above all else. The heavy bullet results in a muzzle velocity of 2790 feet per second, while the boat tail provides additional stability in flight.